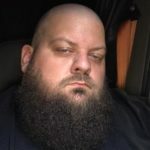 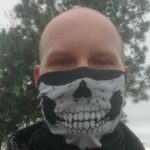 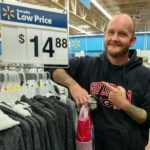 In May, we exposed Aaron Christopher Krueger, a key organizer for the racist/fascist Patriot Front organization in Georgia. 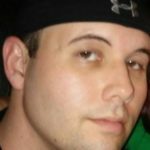 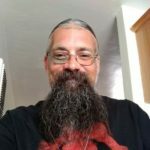 Now we highlight another person in our state linked to Patriot Front: Christopher Wayne Gibson of Dublin, Georgia. 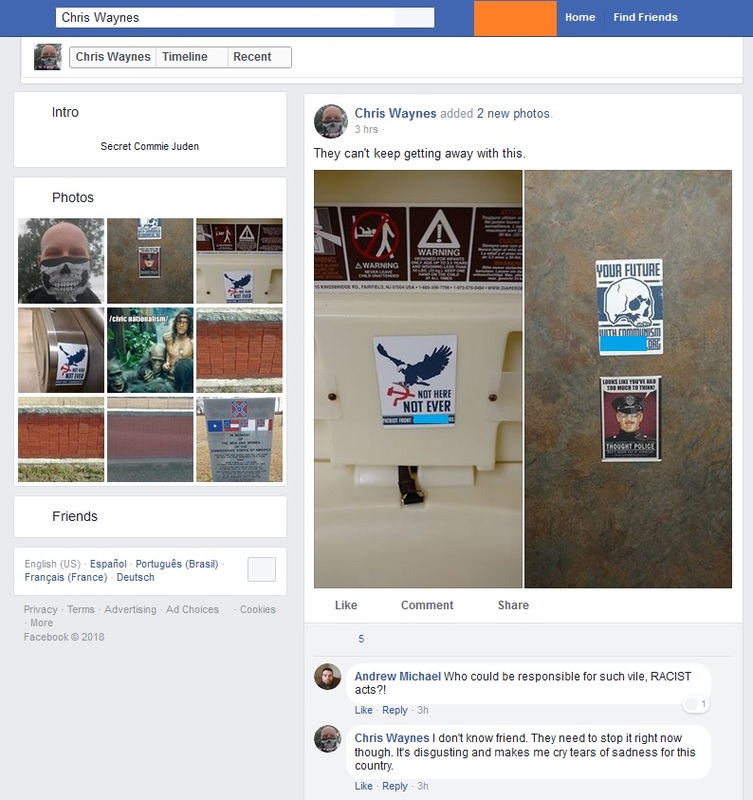 Chris Gibson has not only circulated propaganda for Patriot Front – Gibson is clear that he is a member of the Ku Klux Klan. 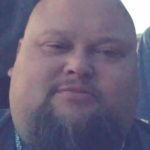 In this article, we will share screen-captures of a now-deleted Facebook page under the name “Chris Waynes.” A quick comparison of the profile picture for “Chris Waynes” and other images of Christopher Gibson (from a Facebook account under his real name) make it clear that “Chris Waynes” and Christopher Wayne Gibson are the same person. 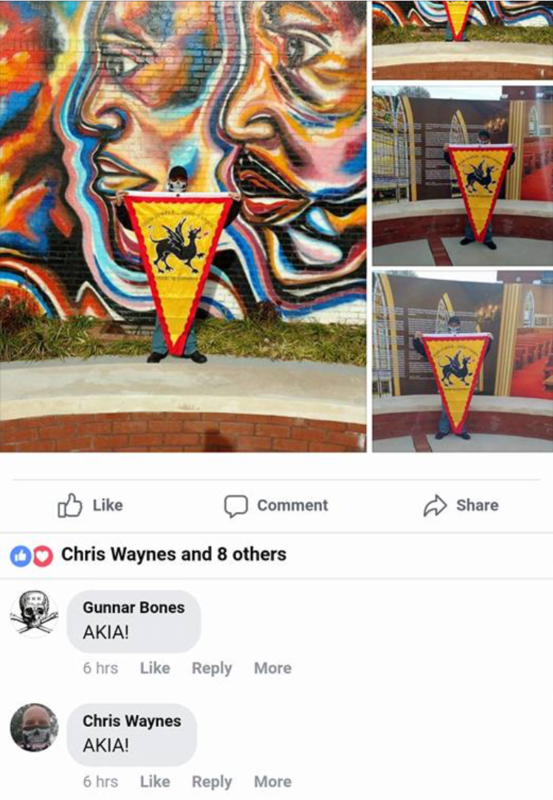 Christopher Wayne Gibson holding Klan banner at MLK Memorial in Dublin, Georgia, January 2018.